Celebrate the World’s Game in EA Sports FIFA 18 with the addition of football’s biggest tournament: the 2018 FIFA World Cup Russia. Available to FIFA 18 owners through a free* content update on May 29, the FIFA World Cup in FIFA 18 lets you experience the greatest tournament on earth through authentic gameplay, teams, stadiums, and more. In addition to playing through the authentic tournament in a variety of modes, you’ll also get the unique chance to rewrite history by creating your own Custom FIFA World Cup Tournament. Determine the tournament draw the way you want to, using any national team in FIFA 18. Yes, even the United States, Italy, and the Netherlands. You’ll find new Icons from the tournament’s illustrious history, as well as up-to-date squads from every qualified nation with new ratings, so you’ll have everything you need to build your international dream squad. FIFA World Cup Ultimate Team has versions of Single Player Draft, Online Draft, and Squad Building Challenges, as well as Single Player and Online Tournament modes that let you play through realistic brackets with your squad. 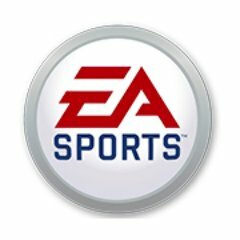 Note that for every Standard or Premium pack you purchase in FIFA World Cup Ultimate Team, you will receive equivalent pack value in FUT 18. Thanks to authentic teams, kits, badges, match balls, and the famous tournament trophy, the FIFA World Cup in FIFA 18 delivers a complete and official tournament experience. All 12 stadiums from Russia are included in the FIFA World Cup update. Enjoy the tournament’s sights and sounds, thanks to authentic pitch environments, advertisements, dressings, national team banners, and high-resolution crowds. The FIFA 18 World Cup content update will be available to FIFA 18 owners on PS4 through a free* download on May 29. *FIFA World Cup game update available for download May 29, 2018. Requires FIFA 18 on PS4 (sold separately), all previous game updates, and internet connection. Wich team will have official kits? All of them? A Atualização não vai sair pro Fifa de Ps3? Free update for ps3 please! Will Nigerian national team have an authentic kit?